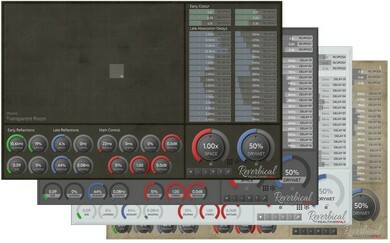 Reverbical is RealtimeOnly's state of the art stereo reverb effect plugin. 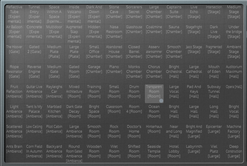 Quick and easy selection from 96 diverse and high quality spaces on the preset grid. Space resizing with a single control. Easy to use, avoid parameter guessing and confusion. 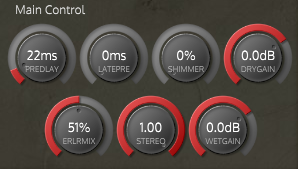 Smooth parameter/preset switching. Deep Tweak mode. Morph and Shimmer. Special artist presets. 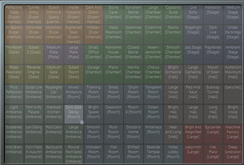 Available as VST, AudioUnit, AAX for OSX and Windows, in 32 or 64 bit versions. 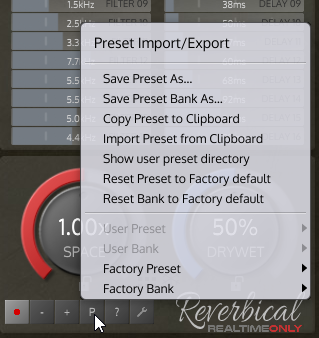 Reverbical is a fantastic sounding stereo reverb effect with a highly accessible user interface. 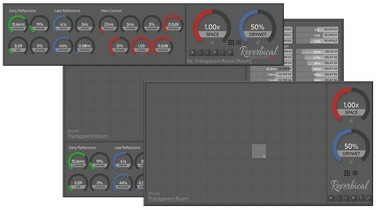 With its unique preset selection grid, a large variety of room characteristics can be navigated and seamlessly morphed in realtime, finding the best matching space for your mix with just a few clicks. With the SPACE master control, low-level parameter complexity is captured into a single parameter, allowing to keep the room characteristics of the selected space, while transforming it to a different size. Shimmer and Freeze for great sound design. DryWet Lock provides stable mixing capabilities. For further tweaking and finetuning, the Deep Tweak view allows extensive and detailed parameter control, whenever needed. Finally, the classic view brings up a size-reduced control surface to operate within a typical reverb plugin interface. Please use the demo version to ensure your specific setup is covered too. Better default values when using Cmd/Ctrl-click parameter reset. Each Reverbical instance starts at the same modulation phase, regardless of the number of instances loaded. © 2016 RealtimeOnly. All rights reserved.